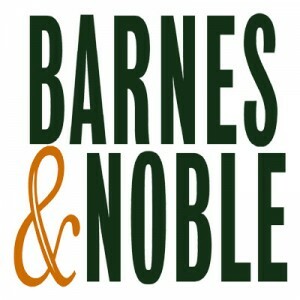 Barnes & Noble, Inc. is the largest digital bookseller and book retail outlet in the United States. It offers digital content, retailer books and educational products and stands as the largest national book store chain in America. Gilbert Clifford Noble became a partner with Hinds & Noble in 1894. In the early 1900s, Noble purchased Hinds’ entire share. He partnered with William Barnes leading to the popular bookstore chain Barnes & Noble, Inc. The company has 781 retail stores across the U.S. with a total of 26,000 employees. It has a large collection of titles including books that are self-published. It stays on top of the American bookstore industry. Barnes & Noble, Inc. offers a top-notch employee benefits package that starts immediately upon hiring. Employees can also avail of 44 hours of vacation time, 9 hours of personal time off, and 25 days of sick leaves in a year. The company prides itself with its equal opportunity and affirmative action hiring policies that eliminates discrimination at the workplace. It puts priority on marginalized groups, minorities, women and people with disabilities. How old do you have to be to work at Barnes & Noble, Inc.? The minimum age to work at Barnes & Noble, Inc. is 16 years old. Younger applicants need to secure working permits and is subject to store policies and regulations. Bookseller: Booksellers are the primary point of contact of the company with its customer base. Booksellers are responsible for assisting customer book choices and attracting buyers to purchase from a wide variety of the store’s book selections. Booksellers are expected to be well read and versed in various titles. Lead Bookseller: Lead booksellers directly manage a pool of booksellers in any store. Lead booksellers are responsible for keeping the team in shape and compliant with store policies and regulations. Lead booksellers are also expected to be adept at reading books, and exploring new titles in accordance to the store’s selection. Customer Service Representative: Customer service representatives are trained to answer customer queries and complaints. They are responsible for assisting customers with purchases, queries, concerns and complaints. It is the duty of a customer service representative to hand over customers to store managers if needed. Cashier: Cashiers are at the front-end of the bookstore responsible for book sale invoice processing and customer check-out operations. In addition to some basic knowledge of cashiering, cashiers are expected to have a positive attitude and an excellent customer service background. Head Cashier: The head cashier supervises cashier staff in daily operations or by employee shift schedules. Head cashiers are also responsible for reporting daily sales and invoice records to the store manager. Head cashiers double check and verify reports from cashiers especially on daily financial statements. Merchandise Manager: Merchandise managers have the task of regularly checking merchandise selections in the store. They liaise with the bookstore’s warehouse staff in case book selections need to be reprinted or more book stocks are required for display. They are also expected to propose store features and services that might be useful in boosting the store’s customer base. Assistant Store Manager: The assistant store manager supports the store manager in daily operations. Assistant store managers are also tasked with managing bookseller leads who in turn manages the bookseller staff. Upon the discretion of the store manager, assistant store managers may also be tasked with supervising employee shifts or teams depending on the need. Café Manager: Most of the company’s bookstores offer an excellent café service. Café managers are in charge of managing in-store café operations making sure that customers get the satisfaction of reading their favorite book while drinking their favorite cup of coffee or indulging in pastry goods. Café Server: Café servers take customer orders and are responsible for making the best brewed coffee the store can offer. Café servers report directly to the café manager and are in charge of creating official café brew offerings. Servers also bring customer orders straight from the coffee bar to customer tables. Digital Sales Lead: A large part of the company’s revenues come from digital book sales which makes digital sales leads important in the company’s workforce. Digital sales leads are responsible for keeping track of digital book sales. They are also in charge of formulating promos to keep customers buying online. How to Apply? The company requires all of its bookstores to hang signages whenever they are accepting applications. Application forms can be downloaded online and are required to be submitted to store managers in any accepting store nationwide. Is online application available? Application forms are available for download online but most positions require personal appearance in hiring stores. Online job applications are available for corporate and headquarter jobs. Tips for filling application form. The application form is a simple 3-page document that can be done in 10 minutes or less. Answer all questions honestly. Falsified information can lead to immediate disqualification. Advice on resume. Since the application form covers personal background, educational background and employment history, resumes and CVs are not required. For corporate or managerial jobs, have your CV ready for submission to store managers. Advice on interview preparation or process. The company has an affirmative action policy. They prioritize hiring marginalized groups, women and PWDs. Make your answers short and to the point. Avoid beating around the bush. Facts about Barnes & Noble, Inc.
Everybody Counts – The company prides itself with fostering an effective environment wherein everybody counts. The company is dedicated in treating its employees with respect and a sense of purpose. Holiday Book Drive – During its annual Holiday Book Drive program, the bookstore chain announced that it collected around 1.6 million books which were donated to over 650 charities and non-government institutions across the United States. Starbucks Coffee – The company’s bookstore locations offer a café service brewing Starbucks coffee. In addition to coffee, in-store cafes also offer Godiva chocolate products, Harney & Sons, Tazo Tea, baked goods from the Cheesecake Factory and FIJI bottled water. One Laptop per Child – The company engages in corporate social responsibility initiatives that show its advocacy for children’s rights. It partnered with the One Laptop per Child initiative. The laptops given to the children beneficiaries are pre-installed with NOOK. 1 How old do you have to be to work at Barnes & Noble, Inc.? 4 Facts about Barnes & Noble, Inc.